There are levels of gospel preaching. If we want to make disciples, we must cover each level and help our people understand that the gospel is comprehensive and it is about more than themselves. 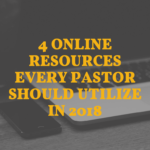 Imagine if, over time, your congregation began to understand that their purpose moves beyond them passively sitting, “being fed,” and complaining. Imagine if they discovered that God wants to take them on an adventure. It all begins here. This, of course, is where it begins. But it’s important that we realize that this cannot be taken for granted. It’s easy for us to assume that the people we’re talking to when our congregation gathers are all people who understand the cross. This means that we must be explicit when we describe a call to surrender to Christ. We can’t assume the people who need to hear the gospel understand any of the theological terms we throw at them or the stories we share with them. Instead of saying, Jesus will save you, we must tell them what that means. Additionally, we must help them understand the promise of regeneration. The first level of gospel preaching is preaching on salvation explicitly. The next level of gospel preaching is sanctification in all its fullness. And what I mean by that is when we preach on sanctification, we treat it like the New Testament treats it. In preaching on sanctification, we spend the time helping people understand that their behavior flows from their identity in Christ and the work of the Holy Spirit. We must hold in tension the reality that God is at work in us bringing about change and, at the same time, we are working out our salvation with fear and trembling, being doers of the Word, and turning from sin. Preaching on sanctification can easily turn into a message of moralism. When this happens, we’re trading in the power of an F-16 Fighter Jet for the power of a broken model airplane. I give a lot of attention to this tension in my book, Crucified to Life. Before Jesus ascended to heaven, He gave the apostles their mission. He told them to make disciples of all nations and then He went ahead and repeated Himself for good measure and told them they will be His witnesses first in Jerusalem, then to Judea, Samaria, and to the ends of the earth. The third level of gospel preaching is making this fact clear: every member of the body of Christ is a disciple-making missionary. If this isn’t preached on and taught on consistently, our people will buy into the lie that the church leaders are the only ones who can make disciples. They’ll stop at inviting people to church and won’t have conversations about Jesus with them. Can you imagine hearing conversations from your congregation of how they are leading co-workers to Christ? That would be phenomenal. 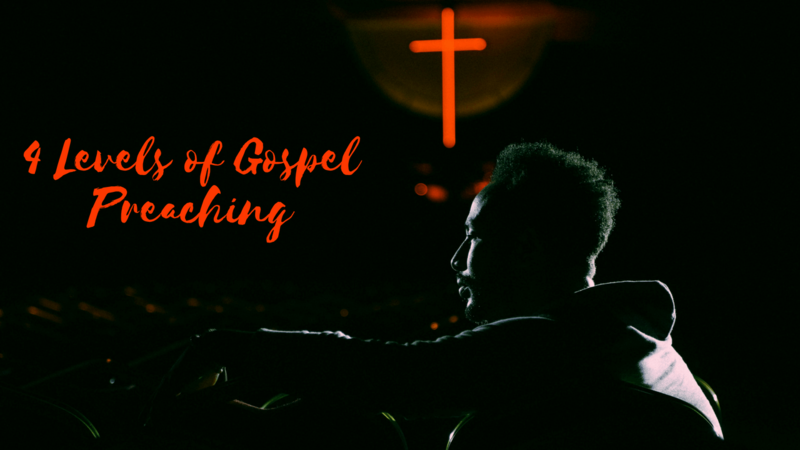 Additionally, this level of gospel preaching is where we not only help our people understand that they are called to make disciples out there, but we also help them understand that they are to make disciples right here. For parents, this means their kids. Family trees are changed when parents make their kids into disciples of Jesus. We must refuse to allow the gospel to simply be spiritual only. It is all-encompassing good news that drives the Church to bring good news to the poor, help to the broken, liberty to the captives and prisoners. Jesus told His disciples that whatever you do for the least of these, you do to me (Matthew 25:40). The fourth level of gospel preaching is helping our people be salt and light in a broken and dark world. I believe that the Church is called to begin to make a difference in the communities it resides and beyond. I believe that as the American Church begins to move away from the attractional model, it will begin to move its resources toward meeting the needs of its communities. I believe more and more churches will begin to lead the way in racial reconciliation. I believe more and more churches will begin to do important work to help the addicted be set free. And I believe we’ll begin to see more churches work alongside community leaders to address the many problems people are facing. And no, I don’t believe that these things are contrary to the gospel. I believe they are the fourth level of the gospel being preached and lived out. So how do we preach on this? We cast a vision of the all-encompassing kingdom of God. We help people see that God has given them abilities and passions and they can use those to bring about change in people’s lives and in the culture as a whole. If you want to be stretched in this area, I highly recommend you read Subversive Jesus by Craig Greenfield.